Biggest Lesson Learned: Don’t be afraid to ask for help. Sabrina is a Project Administrator in XL’s education market segment and is currently wrapping up the Sonoma Academy Grange Building project. 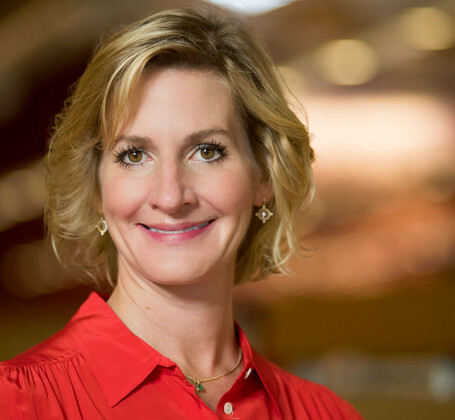 She is passionate about sustainability and recently received her LEED GA accreditation. You can find Sabrina cooking and planning events with friends and family when she’s not at work. Biggest accomplishment: Her son Michael. 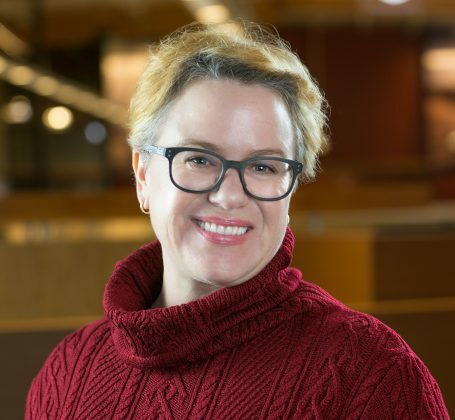 From working with the project teams to managing databases to maintaining procedure manuals and office processes, there isn’t much Lisa doesn’t know about the XL Way of doing things. Of all the work she does, she most enjoys getting to work with the project teams. Words of advice: Learn from mistakes and don’t make them twice. Larry has been with XL since Day One. While his favorite thing about the job is building and the unique challenges of each project, a close second is XL itself. “It’s a great place to have a career, not a job,” he says. 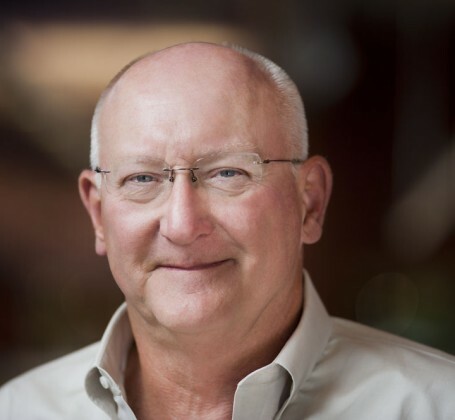 Larry’s primary focus has been on complex projects for advanced technology and life sciences clients. When he’s not at work, he’s likely to be participating in off-road sports with his family. Best part of the job: To see the owner’s appreciation when completing their project. 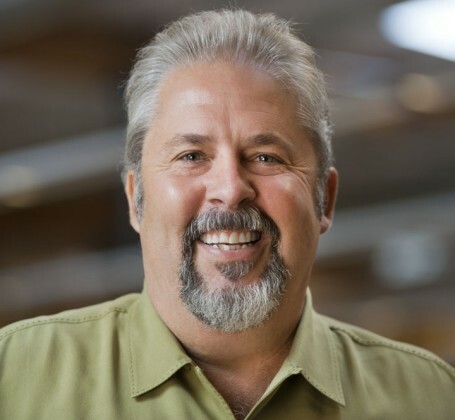 With more than 28 years of experience in each of XL’s core markets, Dave is a valuable team member. 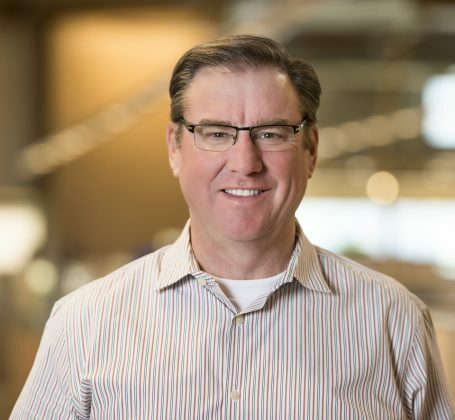 During his 10 years with XL, Dave has completed projects for key clients including JP Morgan Chase, Bayer, Sutter Health, Lockheed Martin, and Gilead Sciences. His biggest career accomplishment is being a part of the Monterey Bay Aquarium building project. Biggest accomplishment: being a successful family man and father, married 25 years. Tim is an expert at technically complex projects for life sciences and advanced technology clients. 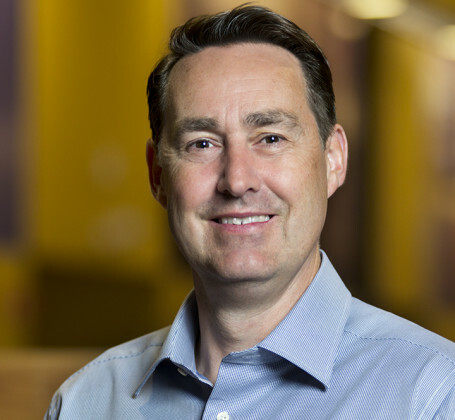 He has been a key team member on projects like Revance Therapeutics’ Manufacturing Facility, PDL BioPharma’s Lab and Pilot Plant and a Confidential Client’s six-building campus. 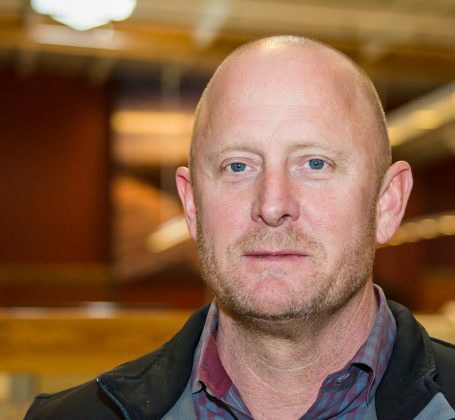 Tim is an XL veteran whose favorite part of the job is making people happy. Biggest lesson learned: You will never be able to know everything, but you can always learn from each and every one of your team members. 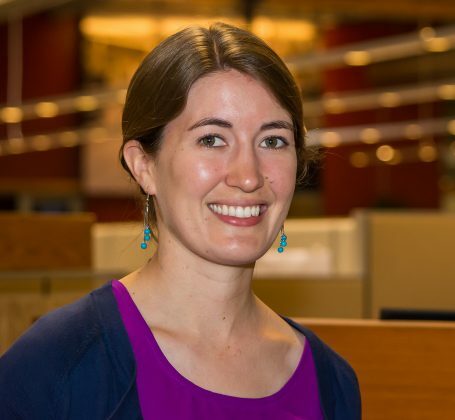 After helping on a construction site for her father, Erin changed her major in college to Mechanical Engineering to be part of the construction industry. Erin’s favorite part of her job is seeing hard work transformed into something concrete (or steel) for others to use and enjoy. Her biggest accomplishments are building more than $1.7 Billion in construction projects, and most of all, her two beautiful daughters. Coolest accomplishment: Ran a 4:24 minute mile to qualify for the State Cross Country meet. 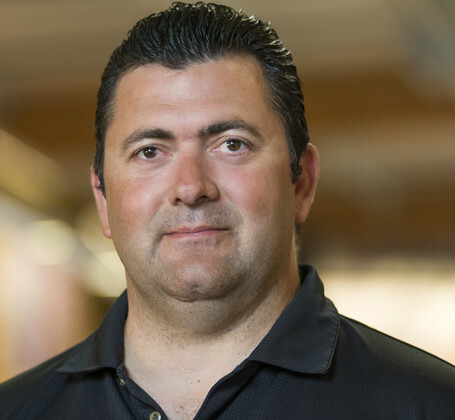 Jesse is a 3rd generation superintendent with more than 16 years of construction experience. At the age of just 28, he managed and built his own home. Since then, Jesse has become a valuable asset to XL’s Structures + Interiors team. He has learned over the years that the most successful projects are based on a clear and concise road map (aka a project schedule). If your road map is created properly, all you have to do is make sure all team members have buy-in and then follow it! Favorite part of the job: Engaging with the great people of XL. Helping them grow, learn and be more successful in what they do. I love to see the pride XL’ers take in living out our purpose – building to improve lives. 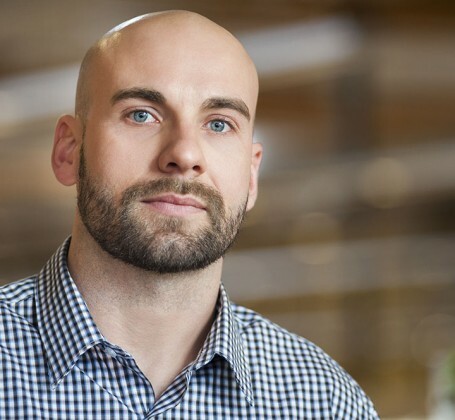 As Director of Training and Development at XL, Craig brings more than 12 years of experience in the construction industry and a never-ending enthusiasm. 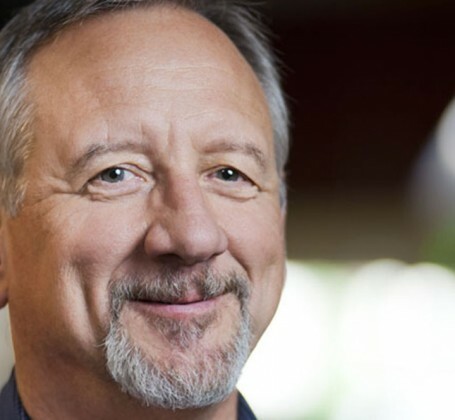 He leads educational courses including Enneagram training and the roll out of our core values. His biggest lesson-learned is understanding that no matter what you seek to do, without focusing on the people who are required to accomplish it, your odds of true success are low. Being a father of three daughters and co-pilot with his wife, Jen, are Craig’s greatest accomplishments. If he’s not in the office, you can find Craig fly fishing, hiking or camping. Favorite part of the job: The people! 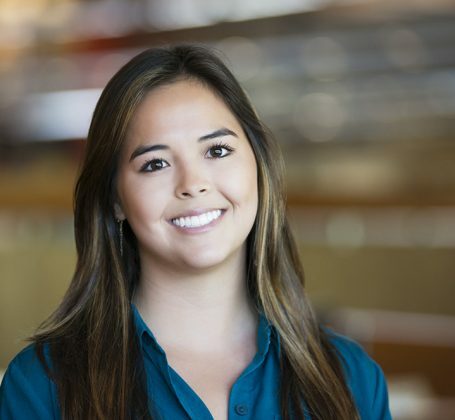 Paige is a Senior Project Coordinator at XL currently working at the El Camino Hospital campus. She has 24 years of experience and has been with XL for 15 of those years. Paige earned her LEED Green Associate accreditation and is now applying that knowledge to her own home. Outside of work, Paige loves to travel the world and is an avid reader. Biggest Lesson Learned: Success is achieved with a team. 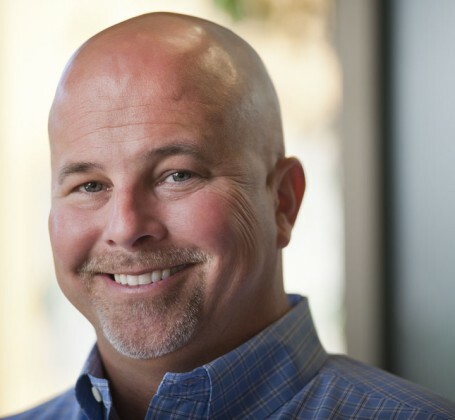 Craig joined XL’s Sacramento Healthcare team in 2017 with teamwork at the forefront. 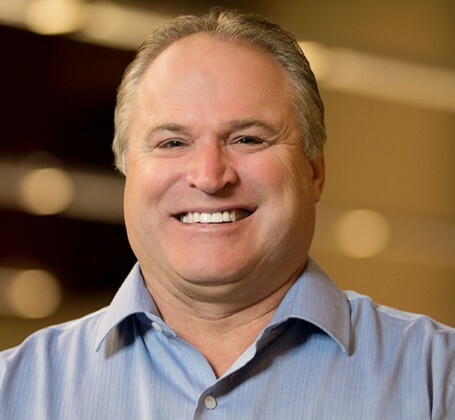 With 30+ years of construction experience, Craig guides our healthcare teams and clients to success. When he’s not in the office, Craig loves teaching his Boy Scouts about the outdoors. Favorite part of the job: Problem solving and learning each day. 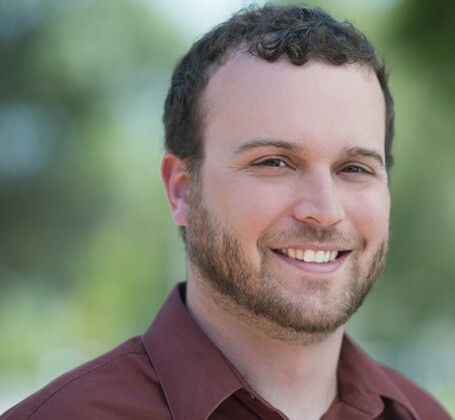 After graduating from Cal Poly San Luis Obispo with a degree in Construction Management, Peter came on board with XL as a Project Engineer. His love for learning and overcoming challenges has made him a valuable asset to the team. Outside of work, Peter enjoys woodworking which he learned growing up in the mountains, off the power grid. Favorite part of the job: Clearly, the people! AS CFO for XL, Tom has a lot to manage. It’s a good thing he has 15 years of industry experience, an undergraduate degree from the University of Michigan and an MBA from Indiana University. Over the years, Tom has learned never to let perfect get in the way of better – need to continually improve. On weekends, Tom enjoys following his two boys around to water polo games and watching college sports. He is an avid Wolverine fan and still holds season tickets for Michigan Football. Favorite part of the job: Building relationships with co-workers, clients, architects, and other partners. Bob has seen a lot during his 25+ year career. 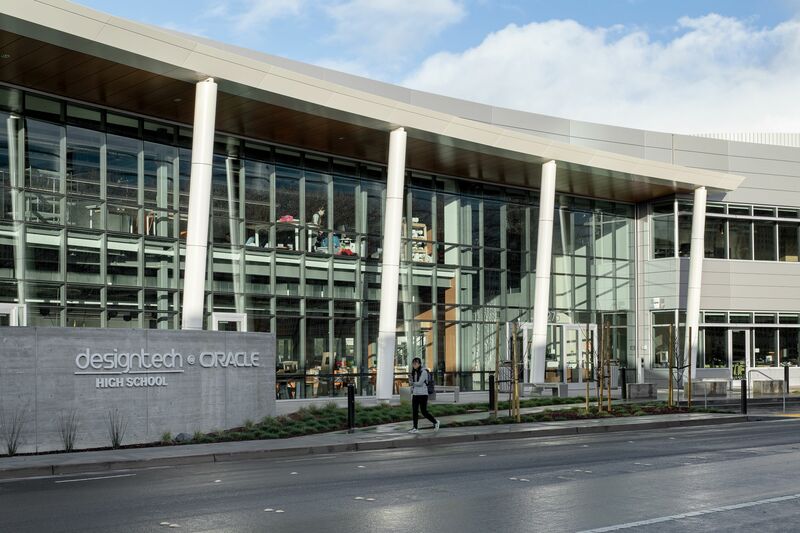 One project that sticks out is when he led a team through design, DSA approval, and construction of a $5 million middle school conversion in just five months! When Bob is not networking or managing fast-tracked projects, he is working on finally making a hole-in-one on the golf course or traveling to Europe and Central America with his wife. Once chaperoned 35 middle-schoolers on an educational trip to England, Ireland, and Scotland. Words to live by: Life is a garden, dig it. Casey is a Carpenter at XL with over 26 years of construction experience. Before Casey, his father was a carpenter for 39 years, and had taught him a thing or two. He has a long list of accreditations including OSHA 30, Lead Abatement Awareness, and a great deal of safety and equipment training. Casey’s biggest lesson learned on the job site is to always know where the power shut off is located before you get started. When he’s not on the job site, Casey at home with his two daughters, who are his pride and joy. Biggest lesson learned: Effective communication and development of teams are the keys to success on all projects. 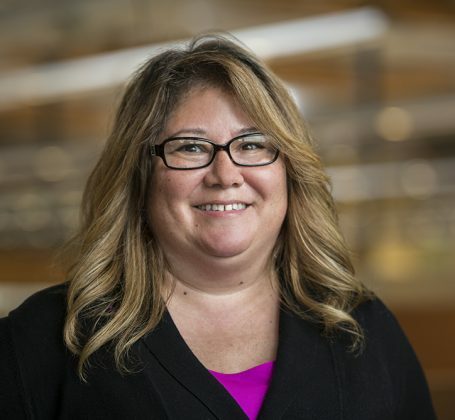 During her 20+ career, Janelle has found that building challenging projects with great people is her favorite part of the job. This makes sense because her biggest career accomplishment was building the new Steve Jobs Theater which included managing several international subcontractors. Outside of solving challenges at work, Janelle enjoys traveling and spending time with her two daughters. Favorite part of the job: Getting to work on multiple projects so she never gets bored or tired of one. Eliza is a Cost Engineer for XL Construction with an impressive background in structural engineering. 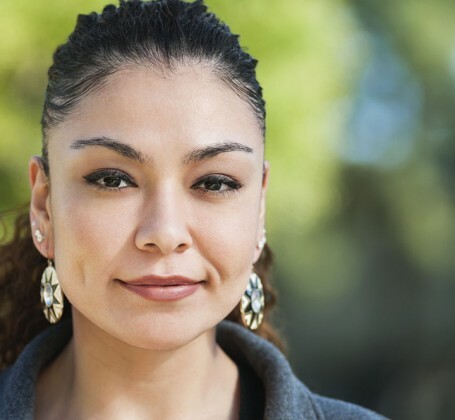 She graduated UC San Diego with a Structural Engineering degree and then went on to receive her Masters in Architectural Engineering from Cal Poly San Luis Obispo. Eliza is a huge Harry Potter fan and once visited the Great-Hall movie set while in England. She has a love for Gothic architecture and works by Santiago Calatrava. 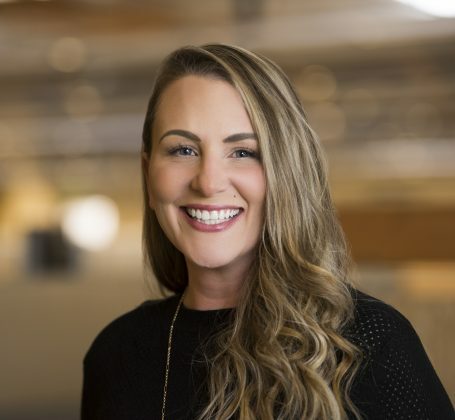 During her four years at XL, Kelsy discovered that collaborating with a team to build a space that will improve the lives of those who use it is her favorite part of her job. She graduated with a Bachelor’s degree in Architecture and Minor in Construction Management from Cal Poly San Luis Obispo. 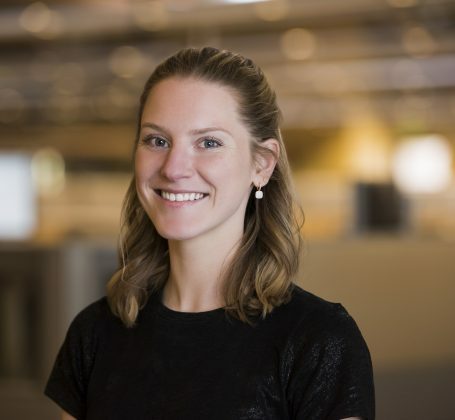 Kelsey is currently working on projects for Kaiser Permanente and Adept Technology. Biggest lesson learned: Not everyone can read a measuring tape. 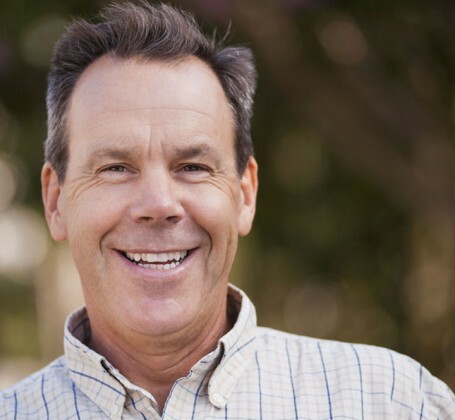 Jim thrives on the satisfaction of his clients when their projects are complete. In his 25 years, he’s gathered experience in many of XL’s markets, with an emphasis in education and healthcare projects. 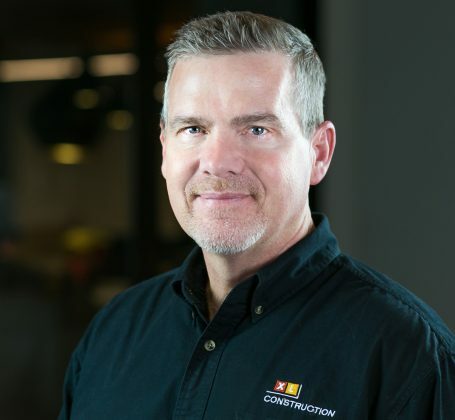 Now focused on education projects, Jim has pioneered a student participation program with a curriculum aimed at teaching kids about the building process. Biggest lesson learned: Listen before you speak. 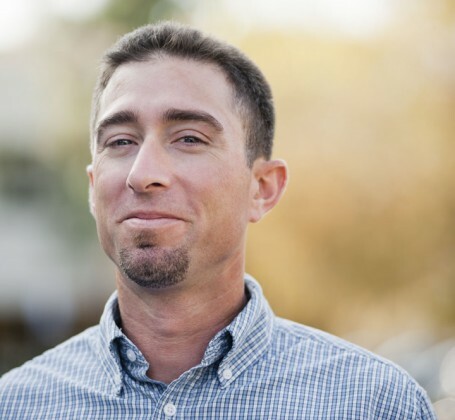 During his 14 years with XL, Nic worked his way up through the trades to become a Project Manager and has worked on healthcare, education and structures + interiors projects throughout Sacramento and the Bay Area. His favorite part of the job is building relationships and seeing the finished product of a project. Outside of work, Nic loves golfing, exercising and spending time with his family. His biggest accomplishment is being a father, hands down. Biggest lesson learned: You cannot achieve your goals without discipline and unfaltering hard work. 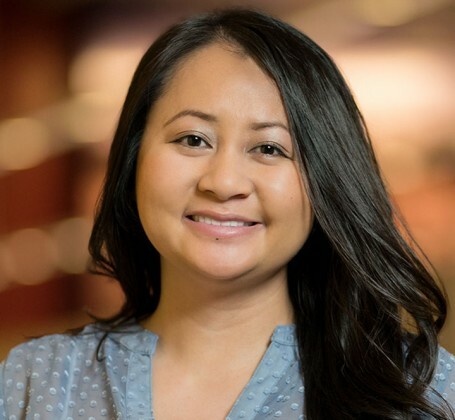 Stacy’s favorite part about being a Project Engineer at XL is working closely with and learning from her team. 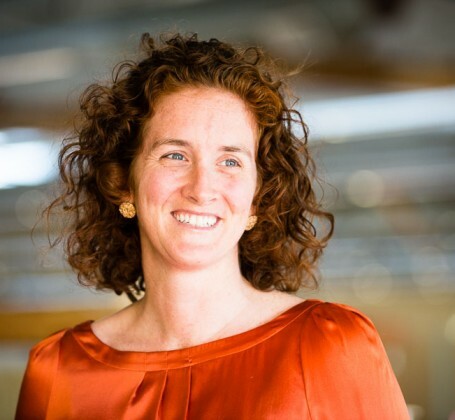 Before joining XL, Stacy earned a degree in Civil and Environmental Engineering from UC Berkeley and is currently an EIT and LEED Green Associate. Outside of work, she likes hiking, snowboarding, and water sports for the fun and competition. Her biggest accomplishment is surviving the engineering program at UC Berkeley. Word to the wise: Communication is key. 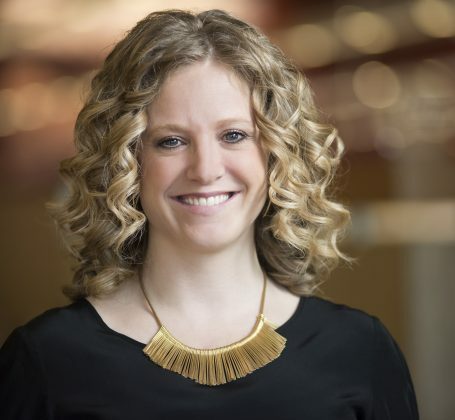 Sarah is an expert multi-tasker and is always willing to take on new challenges and get involved with new projects. Add the fact that she is great to work with and ultra-competent, Sarah is the go-to person for more than a couple of people in the office. Words to live by: Listen and embrace other views. Jerry has been a driving force behind the XL culture. From creating dynamic programs for employees like Fit Camp and XL University to his efforts in hiring each one of us (thanks Jerry! 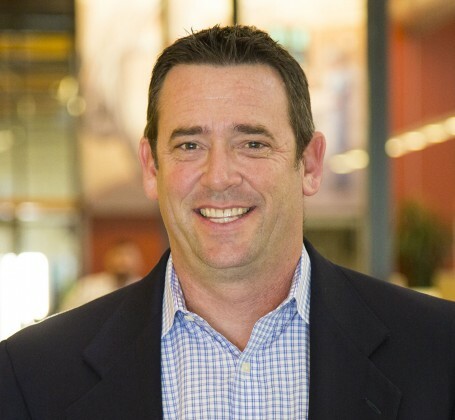 ), he is always pushing the envelope to keep XL one of the best places to work in the Bay Area. Motto: Life begins at 10,000 feet. 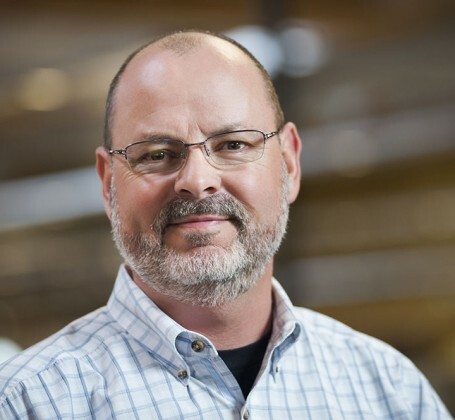 Scott’s years of experience and passion for building technical projects ranges from healthcare and life sciences to advanced technology, mission critical and corporate office. His projects include Kaiser’s Template Hospital and Medical Centers that added 670,000 s.f. of new member-care space in Modesto, the 406,000 s.f., 20-story, CalSTRS Corporate Headquarters in West Sacramento, and Bannon Investors’ 300,000 s.f., 12-story, Natomas East Office Building in Sacramento. Biggest lesson learned: You’re never too old to learn. Always have an open mind to new ideas, think intuitively. 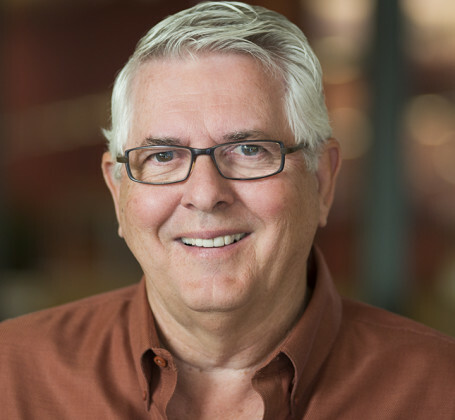 With 45 years of experience and an impressive resume of life sciences, advanced technology and healthcare projects, Rob has been a valuable member of the XL team for the last 12 years. Of all his responsibilities, some of his favorites are training and managing personnel, helping resolve design issues, and working on concrete poured in place projects. Favorite part of the job: Working with creative, intelligent people. With 28 years of construction experience, Tim is a true expert in the field. From cGMP projects for life sciences clients to LEED certified projects for corporate office clients, Tim has delivered both exceptional quality and client satisfaction. While Tim has numerous professional accomplishments to brag about, he says his biggest accomplishment is raising his two children with his wife. Best advice: What you want exists. Don’t settle until you get it. 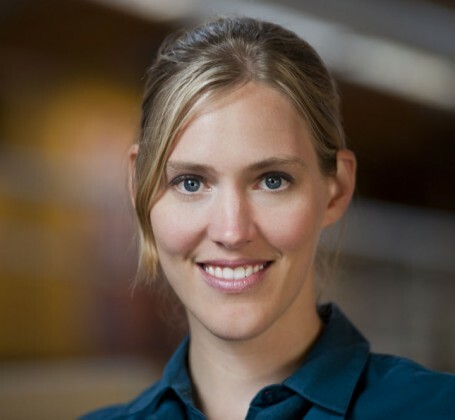 Katie graduated from Santa Clara University with a Bachelor of Science degree in Environmental Science and a Minor in Sustainable Development. 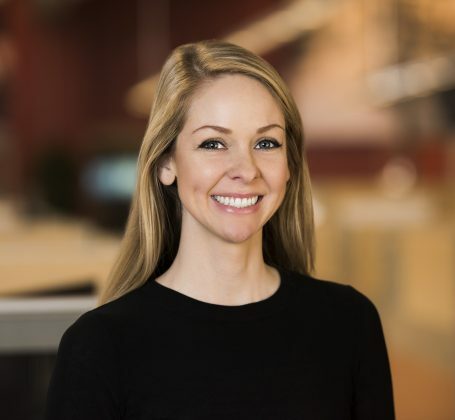 Working hand-in-hand with our project teams, designers, and clients, Katie loves finding creative solutions on our projects to make positive impacts on people and the environment. Outside of work, Katie is likely running trails with her dog, Shane. Words to live by: Always try new things, but stick to your strengths. Throughout his career, Jim has been involved with over 300 individual projects, many in life sciences and healthcare. He participates in all aspects of preconstruction including cost estimating, cost management, cost studies on alternative materials and methods of construction, value engineering, and bid packages. Biggest lesson learned: Communication is key. 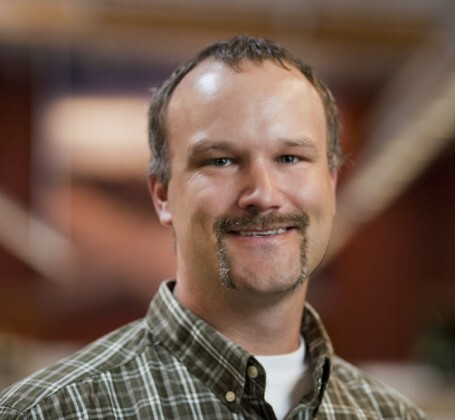 In his tenure with XL, Jeff has tackled some great projects, including a 270,000 s.f. build-out for PDL Biopharma, a cGMP manufacturing facility for Revance Therapeutics and over 300,000 s.f. of new office space for Hewlett Packard. He enjoys the diversity of projects he’s involved with and the opportunity to work with new technologies. Favorite part of the job: Working on a variety of projects and building relationships. 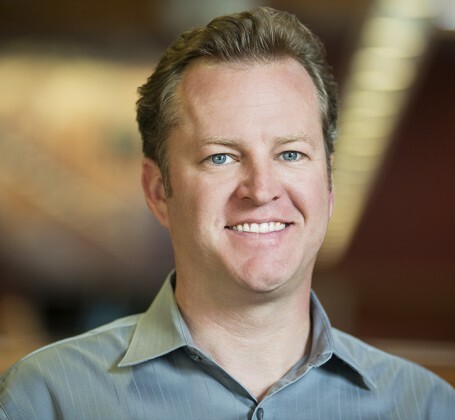 Dean began his career at XL after graduating from Cal Poly. 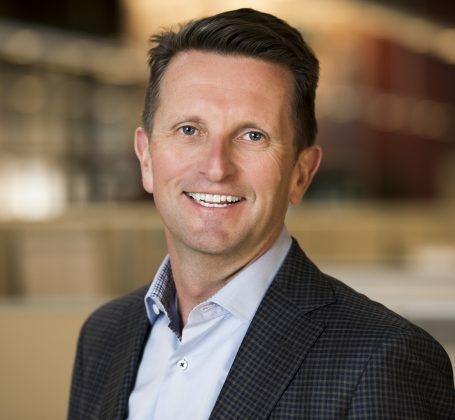 Since then he’s been involved in the construction of a ground-up, four-story OSHPD skilled nursing facility, a LEED Platinum tenant improvement for a Fortune 100 company, and a six-building corporate campus project in Pleasanton. Words of advice: It’s a small world. Be nice to everyone… you will work with them again! In his 14-year career, Matt has gone from working on the pedestrian decks at Mount Rushmore (his first project! ), to working on complex science and technology projects for clients like Amgen, Pfizer, Digital Realty Trust and Hitachi Global Storage Technologies. 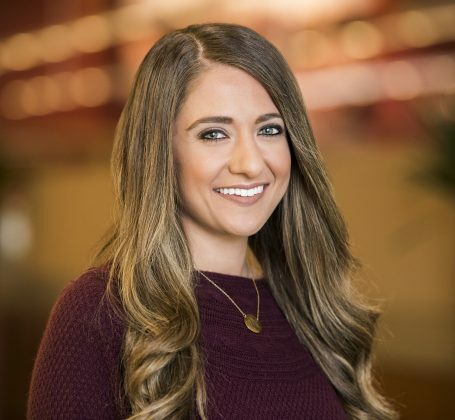 As Senior Technical Recruiter for XL, it’s a good thing that Kelly’s favorite part of her job is meeting new people and being a part of XL’s growth. Kelly brings an active, team-oriented spirit which she gained from playing basketball and softball for nine years. Outside of work, Kelly loves being with her two children and training for marathons. Biggest lesson learned: Always listen to your inner voice – if it “feels wrong” it is. 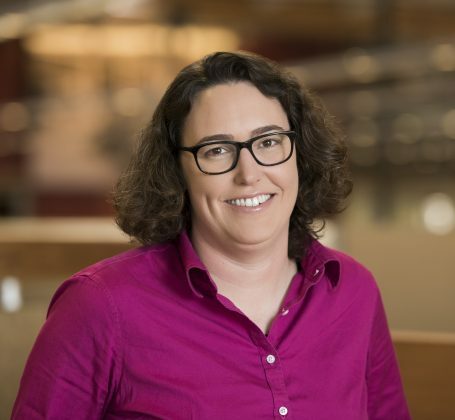 In her 15 years in construction, Kacie has found that the best part of being a Project Manager is working with amazing people and making history with the buildings she builds. Outside of work, Kacie rides dirt bikes, water-skis and is more blessed and proud of her children every day. Favorite Part of the Job: Standing back and looking at what you just built! 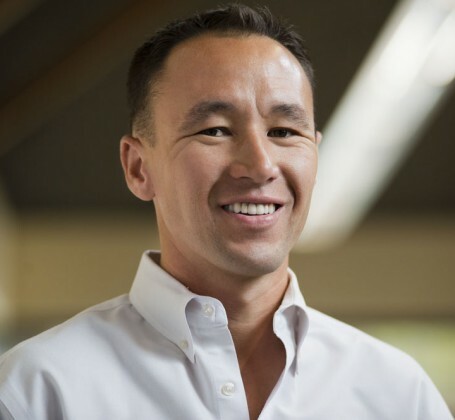 With more than 14 years of experience, Lee has learned that you can’t do everything alone. One of Lee’s biggest accomplishments while being a Superintendent in XL’s Science + Tech market segment was moving an entire R&D facility (clean room tools, labs, equipment, etc.) from one site to another. Biggest Accomplishment: Being part of the Design-Build team for a new bone marrow treatment center for a children’s hospital. 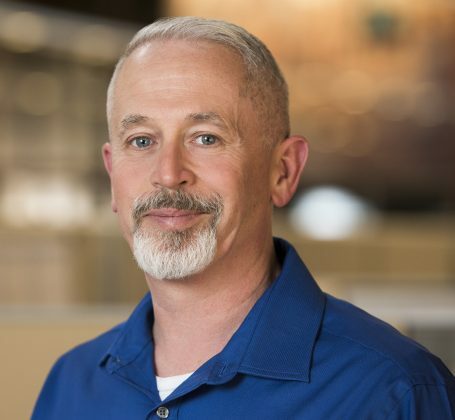 In his more than 30 years of experience in construction project management, procurement, planning and Design-Build HVAC contracting, Robert has concluded that working with people is his favorite part of the job. 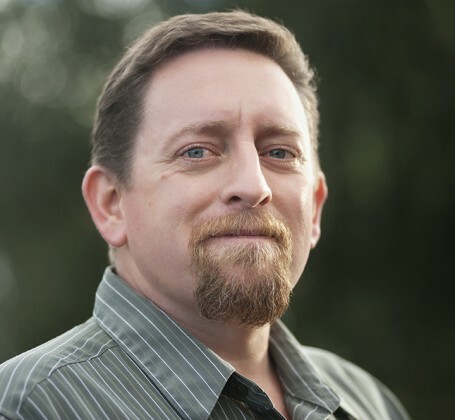 Robert is now the MEP Coordinator on XL’s El Camino Hospital Behavioral Health Building. Biggest Lesson Learned: Don’t be afraid to ask for help! 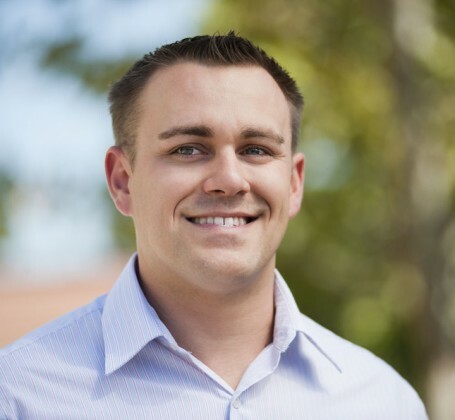 Alex began his career with XL after graduating from Cal Poly with a degree in Construction Management. 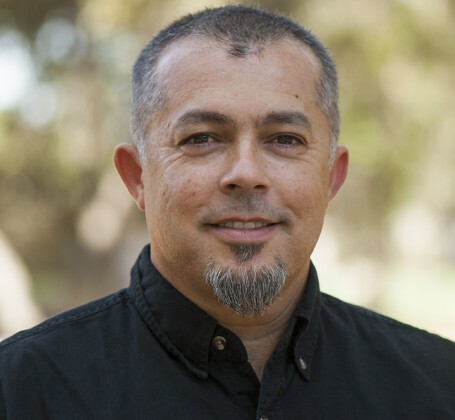 Now a senior project engineer and LEED-AP, he works primarily on corporate office projects, though he recently completed a project for Antioch USD. His biggest accomplishment to date is completing a LEED Gold project, but his favorite part of the job is working with the people. When he is not on site, he is traveling the world. He’ll eat anything once… except insects. 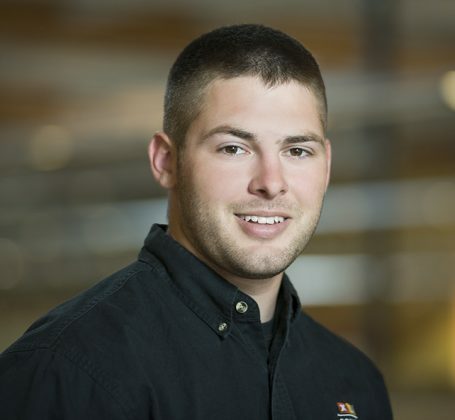 With four years of experience, Bryant is a valued member of our preconstruction team. He enjoys the people and the challenging projects he gets to work on. To produce the best results, you must learn from, collaborate with and have respect for each member on your team. Paul has a successful track record using XL’s “All In” methodology of project team collaboration which allows him to control cost throughout preconstruction and construction. He enjoys understanding the Client’s needs and providing reliable cost information. In 2013, Paul and his wife delivered their eldest daughter to her college dorm room, then took their younger daughter to her first day of kindergarten the very next morning. In his years at XL, Kevin has definitely made his mark. As a new PM, Kevin successfully delivered a 60,000 s.f., ground-up lab building. 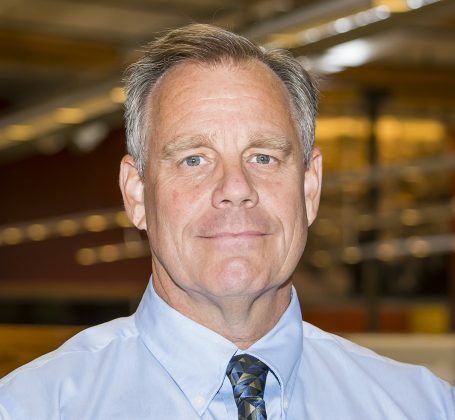 Since then, he has been a key member on many of XL’s healthcare and life sciences projects and has pioneered XL’s use of lean construction practices. Words to live by: Look forward, not back, to make choices. 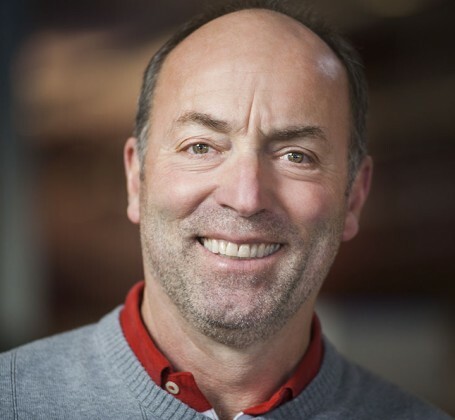 Founding the company in 1992 with Dave Beck, Eric is a staunch champion of XL’s commitment to improving lives. Our focus on projects that serve humanity, being a great partner during the process and delivering complete client satisfaction are driven by Eric’s constant encouragement and support. 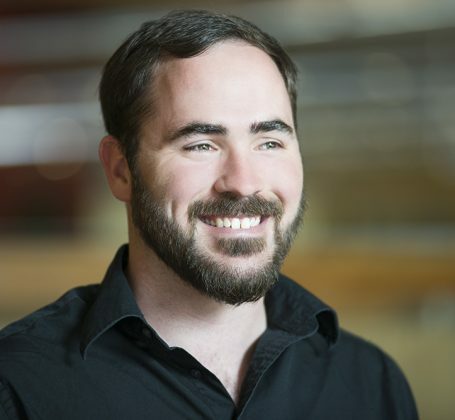 Along with overseeing business administration and finance, Eric stays actively involved in projects and is known for being available and approachable. Star college football player – go Tigers! Favorite thing about his job: building things that make people happy. 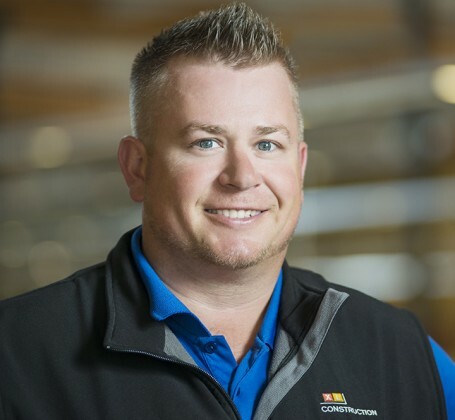 Jeff manages field operations – coordinating subcontractors, project scheduling, quality control and project safety – but his specialty is figuring out how to get a variety of personalities to work together well. His projects include PDL BioPharma, Lockheed’s Building 156G, and the Santa Clara Valley Medical Center Seismic Upgrade and Clinical Lab. Biggest Lesson Learned: The importance of communication can’t be overstressed – and it’s better to bring up issues earlier than later. 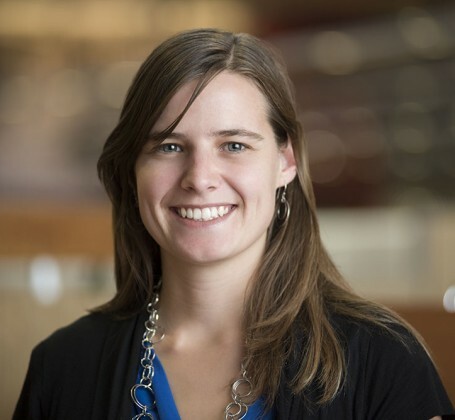 With a Master’s and Bachelor’s degree in Civil Engineering, Whitney brings a technical perspective to projects. 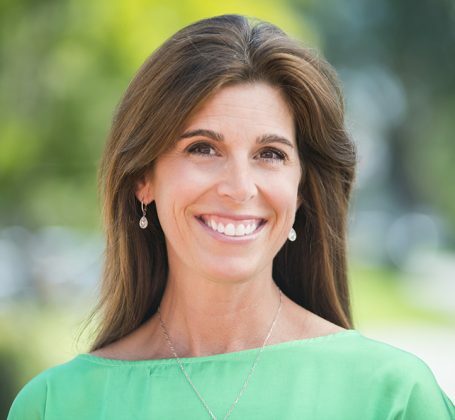 During her nine year career, she is proud to have worked on some impactful projects in the Bay Area. 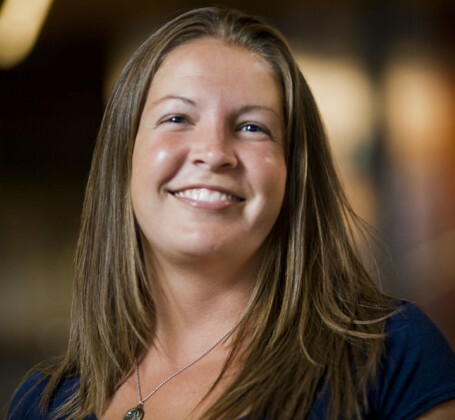 Outside of work, Whitney enjoys doing home improvement and remodel projects with her husband. Trust us: Do not challenge Jackson in a run, race, or swim. Make that anything athletic. A driven individual, Jackson thrives on seeing a building coming together. 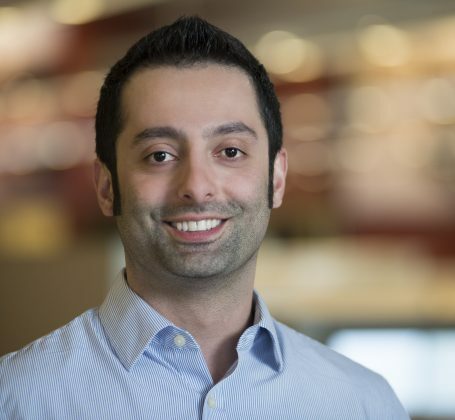 He enjoys the daily interactions with people that his job entails and is an accomplished leader that has achieved exceptional results on projects for clients in life sciences and advanced technology. Words of advice: Don’t worry, Be Happy. After owning his own custom cabinet company for seven years, Donald went back to school at to get his Construction Management degree. Donald is now building a new educational facility at La Entrada Middle School and loves that every day is different and has new challenges. Biggest Lesson Learned: Slow down and check your work. Blaney is a talented singer and performer turned Project Administrator for XL. 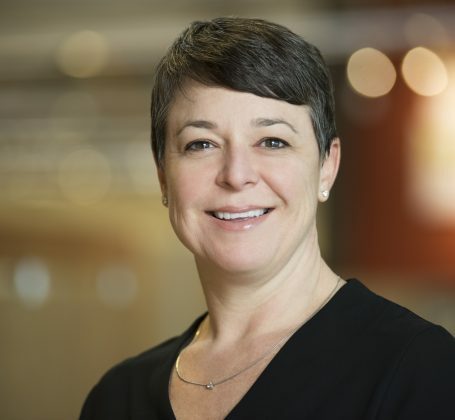 With this vast change in industries and careers, Blaney has found that her favorite part of the job is working on a project site. Her biggest accomplishment is being a mother to her son. Biggest Lesson Learned: Learning that failure is stepping stone for success . . . so learn to fail fast! Monet is one of those people who truly loves their jobs. 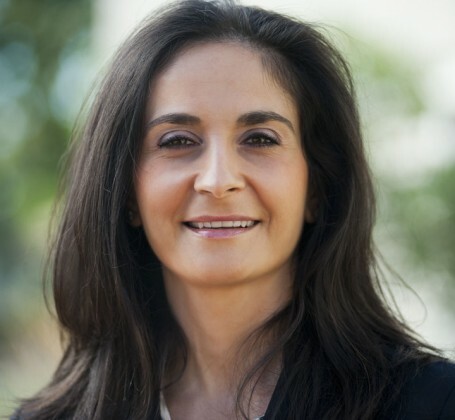 Developing rapport and maintaining relationships with teammates and clients comes naturally to Monet. 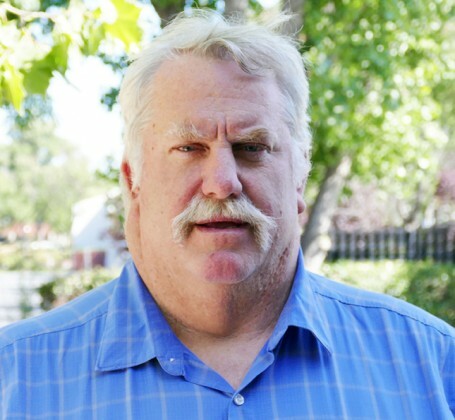 His biggest career accomplishment was being the Owner’s Representative for the City of Rancho Cordova for the Mather Veteran’s Village Project. Outside of work, Monet enjoys reading, napping on the beach, and jogging. Is a 49er Faithful Fan! Person he admires most: His father Gil who taught him the value of family, responsibility and that hard work and dedication pay off. Gary’s workmanship and work ethic exemplify XL’s standard of excellence. His skills have brought to life the imaginations of architects, clients and fellow employees alike. 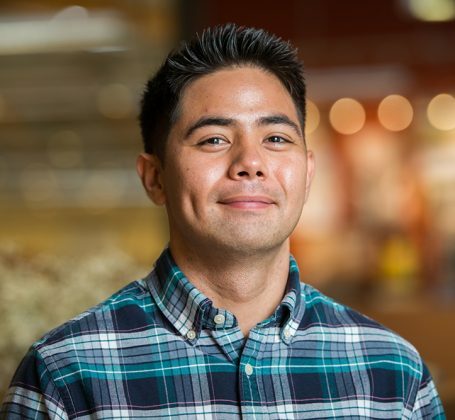 Across the board, he is recognized for the artistry and passion he brings to his work, which lives in the office spaces of some of the Bay Area’s top companies. Richard is a true leader who brings out the greatest potential and success in others. With an impressive resume in executive leadership, business development, risk management, and project management, his experience guides XL in its ongoing growth. 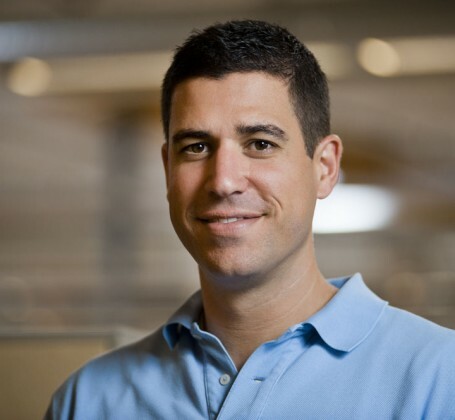 As COO, Richard oversees XL’s operations, market development, best practices, and staffing. He ensures that XL stays true to its purpose and values as it evolves to meet the changing needs of clients and partners. Biggest Lesson Learned: Inspect what you expect. 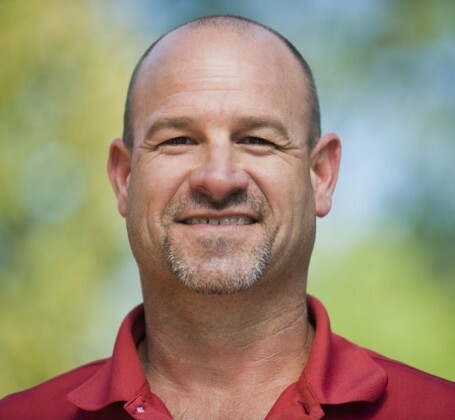 With a Construction Management degree from Chico State University, and more than 19 years of experience, Nathan has seen it all. His favorite part of the job is solving what seems to be impossible problems and turning two-dimensional dreams into three-dimensional realities. Outside of work, Nathan enjoys rock-crawling and blasting through the desert in his buggy. Enjoys most about his job: managing multiple entities and bringing his dog to work. Chad has been involved in some of XL’s most complex projects. His leadership skills have been formed not only by construction experience, but also by working as a Small Enterprise Development Advisor in Ghana, Africa, with the United State Peace Corps. 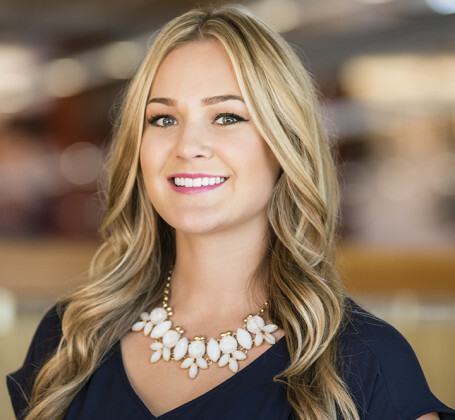 As the Marketing and Business Development Assistant at XL, Brittany stays busy with communications, events, RFQ’s, and photography, just to name a few. 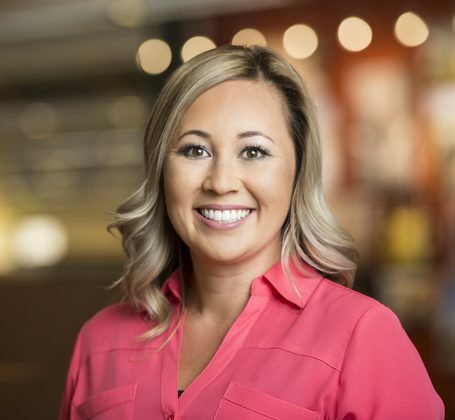 After earning a degree in Communications Studies from San Jose State University, Brittany came to XL where she loves working with a team and learning on a daily basis. Biggest Lesson Learned: Always have a plan. One of Travis’s biggest accomplishments in his 18 year career is completing a new four-story addition on top of an existing hospital. 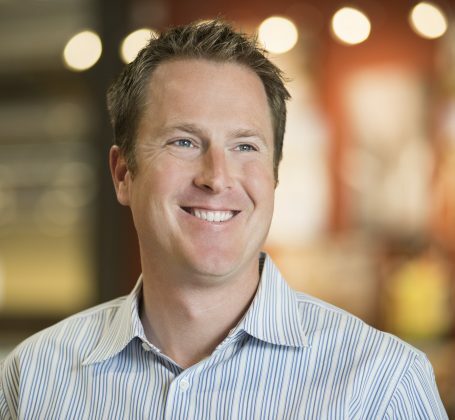 Travis is a Senior Project Manager in XL’s Sacramento office focusing on both Healthcare and Education market sectors. Outside of work, Travis loves spending time with his three adorable children. Best advice: Always treat each other with respect, have high ethics, and a strong sense of team. 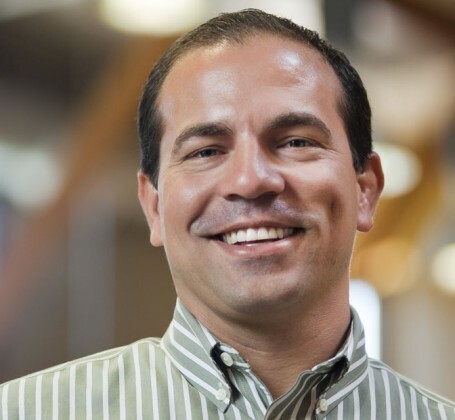 Marcus’ leadership and focus on employees and clients strengthens XL’s people-centric culture. 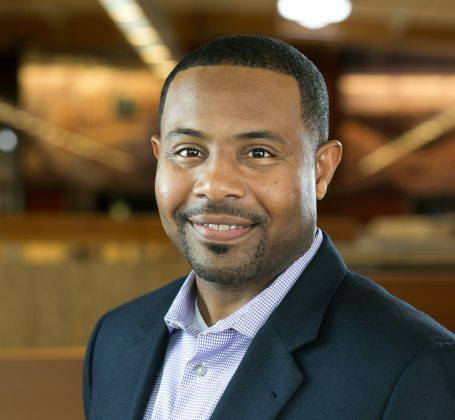 As Senior Vice President of Operations, Marcus provides support and oversight to XL’s Operations, Best Practices, Marketing, and Business Development groups. Throughout his 27 year construction career, Marcus has held positions in project management, leadership, and business development. It is not a surprise that his favorite part of the job is interacting with others and working in teams to complete great projects. College football fan – Go Bears (Cal), Frogs (TCU) and Hogs (UArk)! Best part of the job: The people she interacts with every day. 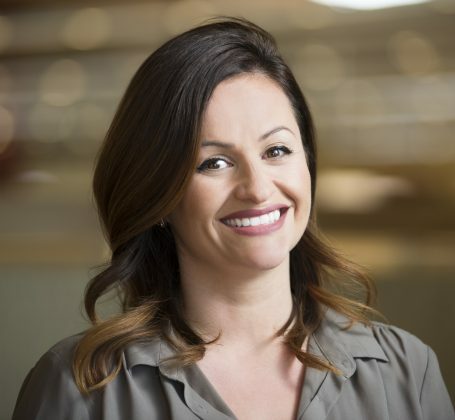 A true business development pro, Aimee is great at engaging and connecting people in meaningful relationships. With the motto of work hard/play hard, Aimee is an active member of the industry and can be found at any number of events around town. She’s even been found in the pages of Glamour Magazine (she made the “fashion don’t” list once!). Words of wisdom: Listen to what clients, design team partners and colleagues need instead of assuming you know. 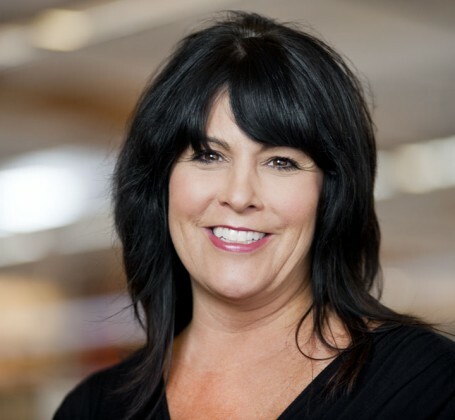 Located in our Sacramento office, Kelley brings great experience and a great attitude to the XL team. She is focused on client needs and regularly goes above and beyond them. Best Advice: Surround yourself with good people and things tend to work out. 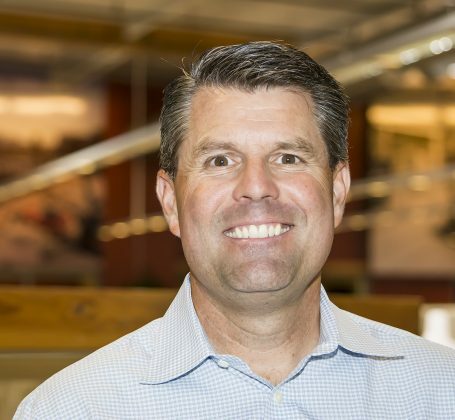 Craig has 25 years of experience in the construction industry and currently leads XL’s structures and interiors market segment. 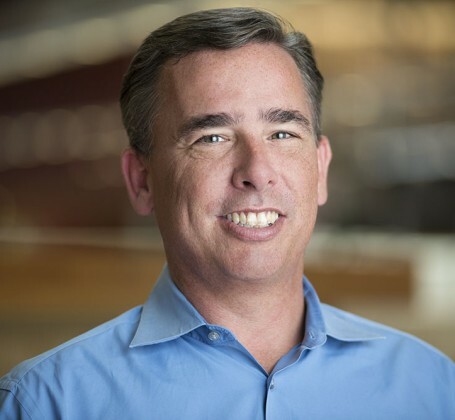 With projects like the Salesforce Tower in San Francisco, the Highland Hospital MOB and Acute Care Tower in Oakland, and numerous projects for the Cal State and UC system under his belt, Craig brings a breadth of experience to the role. While he truly enjoys the building process, his favorite part of the job is seeing people grow. Motivation: Problem-solving and working with different personalities. 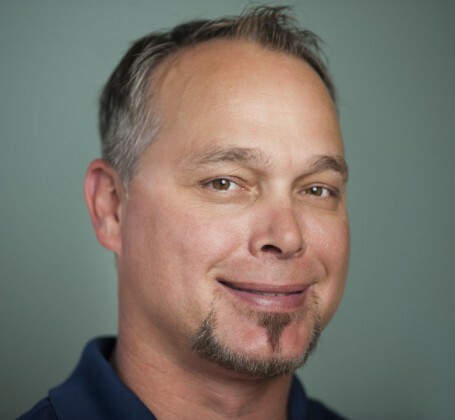 Part of the XL team for over 11 years and with over 17 years in construction, Jimmy has worked on a variety of projects. 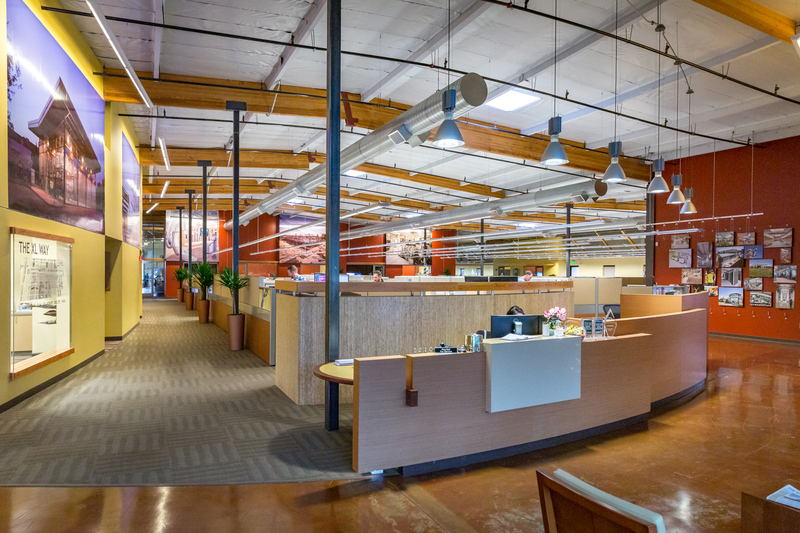 From the design-build New District Offices for San Jose Evergreen CCD to PDL BioPharma’s new Building H, his well-rounded background includes education, advanced tech, corporate office and life sciences, from LEED certified projects to cGMP. Biggest Lesson Learned: Regardless of how talented or experienced anyone is, everyone makes mistakes. Check and re-check everything. 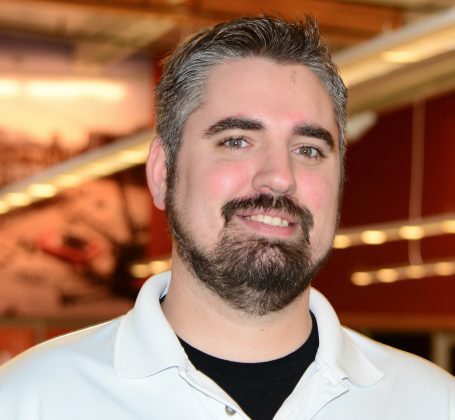 As MEP Coordinator for XL, James uses his many skills in AutoCAD, HVAC, value engineering, energy, and engineering. The people he works with and the wide range of projects we works on are his favorite parts of his job. 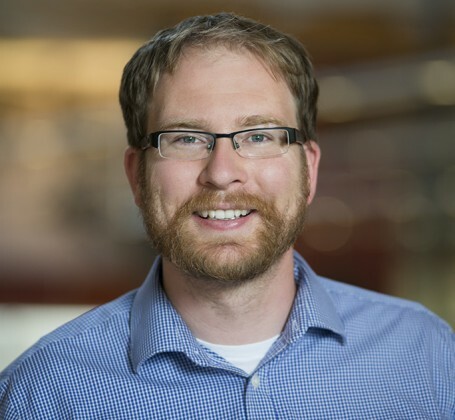 Earning his Professional Engineer license and being the Engineer of Record on a large R&D project are James’ biggest accomplishments. Biggest Lesson Learned: The power of multiple minds is invaluable. 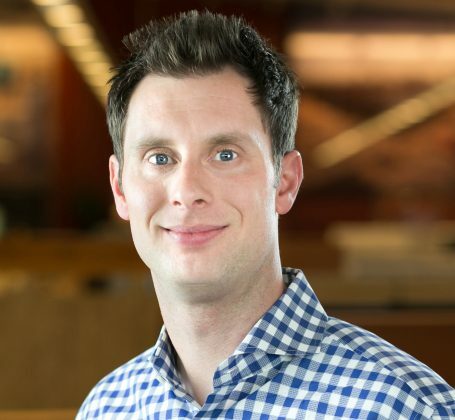 Scott’s favorite part about being a Project Manager in XL’s education market segment is the culture of overcoming challenges and moving forward as a team. Scott is a gear-head and loves to tinker with engines, mechanics, and nuts and bolts. He is also an action sports and outdoors enthusiast. His picture would be in the dictionary next to the word: Enthusiasm. A co-founder of XL, Dave inspires us to the highest levels of project execution and client satisfaction. His rules: put the client first, listen and find the best (not easiest) solutions, and do the work with the highest standards of quality and integrity. Dave is a driving force behind XL’s commitment to sustainability, not only on our projects, but in our offices as well. Biggest Lesson Learned: Life is so much brighter when we focus on what truly matters. Katie is everything Human Resources at XL. She wears many hats, and wears them well. Her favorite part of the job is all of the people from different parts of the company that she gets to interact with. Her biggest accomplishment is being a mother to her three beautiful daughters. Words of wisdom: Never stop pushing your boundaries. Life is too short not to experience all that you could have. From technical ground-up skilled nursing facilities to HVAC upgrades in an occupied hospital, Ben has been highly involved in several of XL’s healthcare projects. 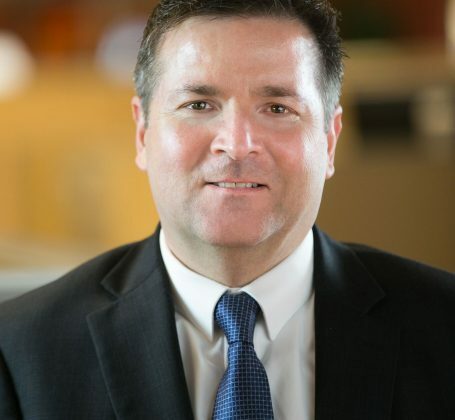 He has taken a leading role in advancing our Healthcare Best Practices and in growing Building Information Modeling capabilities. Jeff holds an Master’s and Bachelor’s degree in Civil Engineering with more than 13 years of construction experience under his belt. 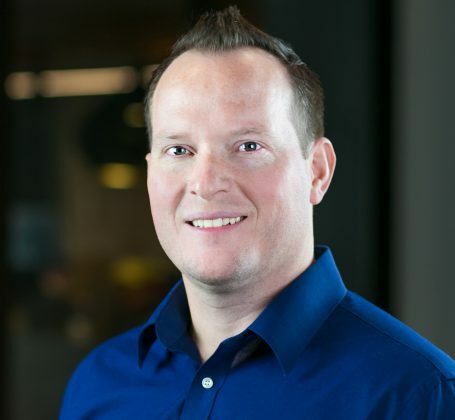 As a Project Manager in XL’s education market segment, Jeff loves building a collaborative team of individuals and their diverse interests and personalities. Outside of work, Jeff enjoys hiking with friends, cooking, and photography. Favorite part of the job: Ensuring people return home to loved ones without injury every day. In Mike’s 20+ years of construction experience, he has amassed a tremendous amount of knowledge about keeping people safe. He has been instrumental in XL’s achievement of an EMR of 0.35, and our numerous awards from the CEA for safety. In addition, Mike directs all company policies and procedures regarding business risk management, insurance and loss control. Biggest lesson learned: Never assume anything. 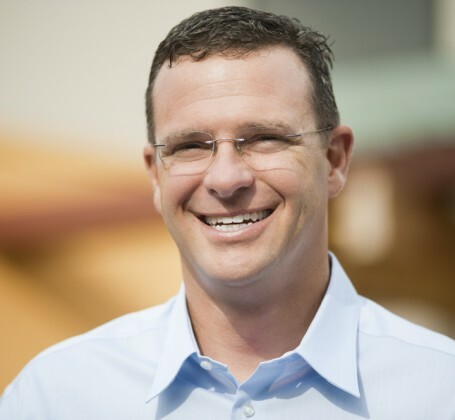 Jerod has well-rounded experience, from tenant improvements in occupied office spaces, to ground-up construction for high tech clients, to an emergency room expansion for a large medical center. Favorite thing about his job: sharing knowledge with others to develop a consistent message for a safe work atmosphere and culture. 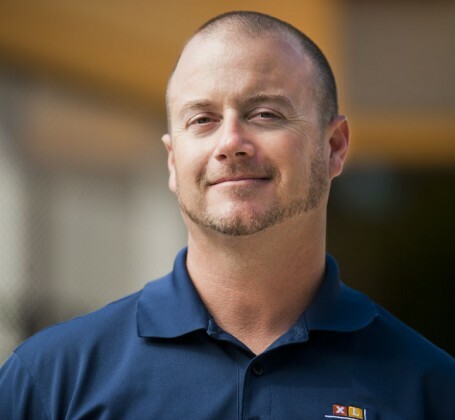 Craig brings years of experience and the highest levels of safety training to his role as safety manager. 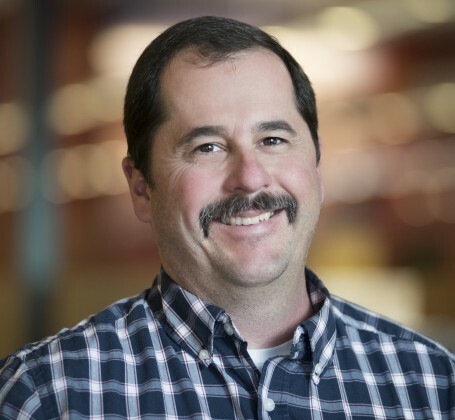 He plays a key role in maintaining XL’s outstanding safety record, managing the safety program for projects ranging from equipment installations to ground-up construction. Favorite part of the job: The smile of an end user after we complete their project. With more than 35 years of construction experience, Rob has proved that there is a solution to every problem. 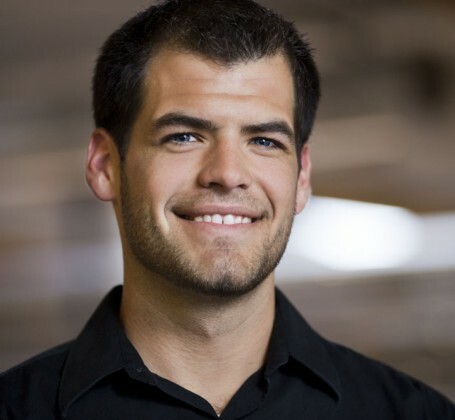 One of Rob’s biggest accomplishments is developing several younger individuals into great leaders and craftsmen. When he’s not at the office, Rob is most likely either spending time with his family or playing golf. Adrianna joined XL based on her internship experience with us the summer after her junior year. 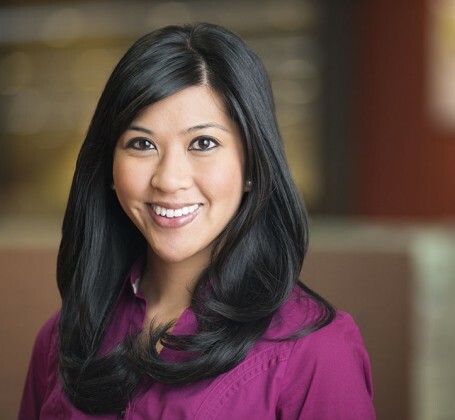 As a project manager, she runs projects with collaboration as a top priority. Her favorite part of the job? Seeing something tangible come from all the hard work. Not afraid to jump out of a plane. While it’s flying. Biggest lesson learned: Listen to your mother! 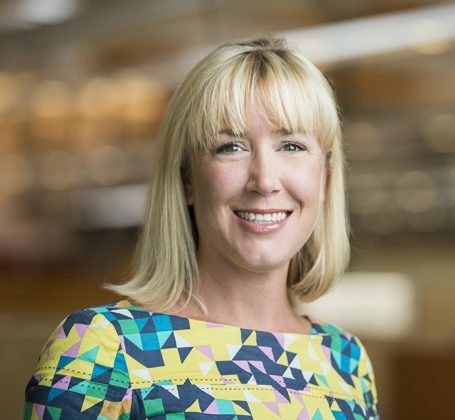 In her few years of experience, Kelly has gotten a taste of projects in healthcare, corporate office, education and life sciences. 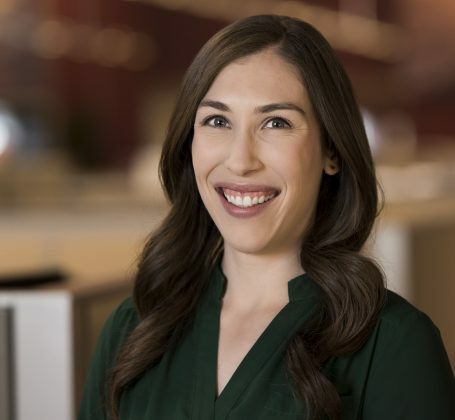 She lives by the best piece of advice she ever got, “hard work pays off,” and credits her father for giving her and her sisters the knowledge and confidence to aspire and succeed in commonly male-dominated industries. Word on the street: Always has the best interest of the client in mind. Leader, partner, mentor, friend. Ron fits the bill on all counts. His understanding of client needs, his talent for focusing his team on them and his creative solutions make him an ideal leader. Long-lasting relationships with his clients and the respect and dedication of his project teams are testament to his ability to deliver great results. 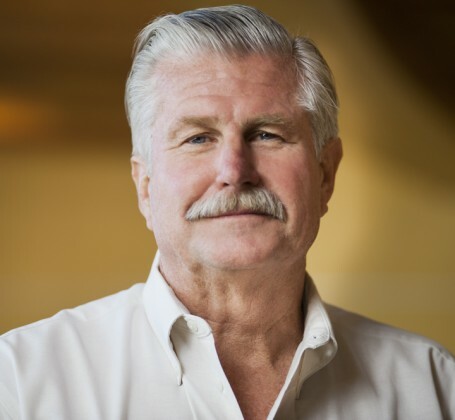 Ron’s experience includes a fab expansion for Hitachi, class 10 through class 10,000 cleanrooms, and large office and amenities projects for multiple confidential clients in Silicon Valley. Biggest lesson learned: Everything is possible. Engaging and charismatic, Alan is a natural leader. 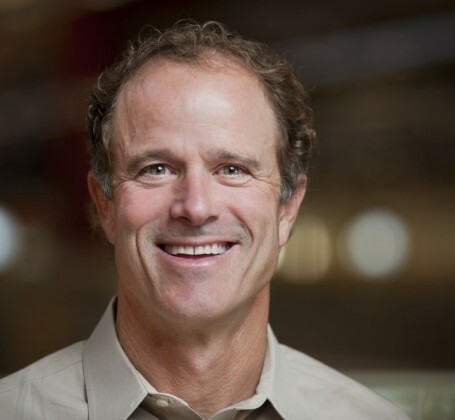 In his 19+ years with XL, he has led teams to success on projects for the likes of Kaiser Permanente, UCSF, and El Camino Hospital. As Senior Vice President, Alan also helps guide the overall strategy of the business. He is a true believer in developing lasting partnerships, and is XL’s guru of ethics, people management and client relations. Leave it to Danny to get things done. Our shop is well-organized, stocked and responsive to the needs of the projects and the office. In his free time, you’ll likely find John: drinking wine or at a Giants game. 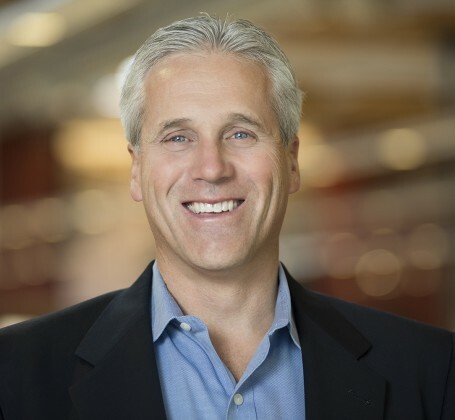 A valuable member of XL’s executive team, John’s 25 years of experience includes campuses for PDL BioPharma and a Confidential Client and data centers for Telegis Networks and Global Switch Data Center. John’s influence can be felt in the office and on-site. A proponent of an enjoyable and collaborative workplace, he brings a sense of fun, fairness and commitment to excellence to his endeavors, and inspires the same in his teams. Biggest Lesson Learned: Slow down. Joe is an MEP Coordinator for XL with over 27 year of experience. He has a degree from Louisiana State University, is a Local 342 Journeyman, and earned his LEED AP Accreditation. 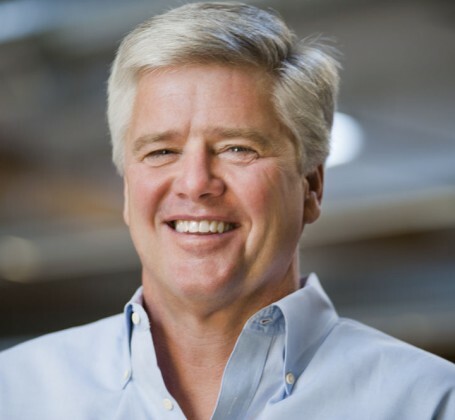 Joe’s biggest work-related accomplishment was completing a ground-up, 878,000 s.f. hospital in Mission Bay. Off the job, Joe’s biggest accomplishment is raising his three daughters. Favorite part of his job: mentoring and guiding people. 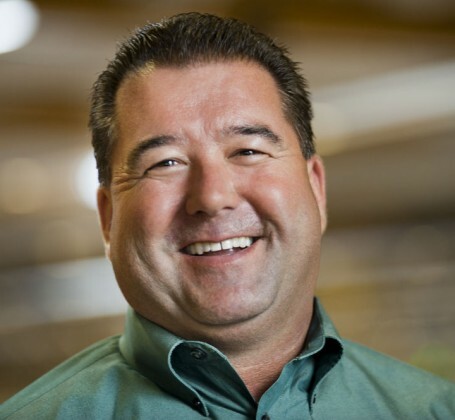 With more than 25 years of experience, Steve has a wealth of knowledge and leadership to share. 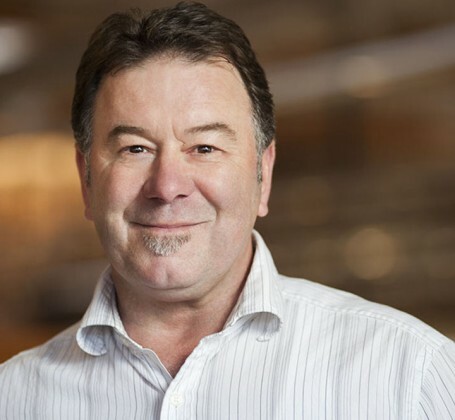 Well-versed in budget management and cost planning, time-to-market strategies, constructability, Lean methods, and BIM, Steve is particularly knowledgeable in alternative delivery methods such as design-build, CM at Risk, and lease leaseback. He also has significant experience planning and constructing LEED certified buildings. His thoughtful and measured approach has led to a solid reputation of building strong client relationships and successful projects. 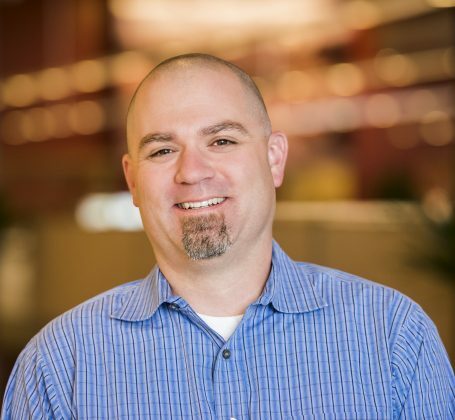 A seasoned superintendent with experience ranging from life sciences R&D facilities to lease-leaseback education projects, Mitch’s favorite part of the job is creating something tangible that has purpose. Building is in his blood – Mitch is a third generation superintendent! Greatest accomplishment: His three kids. With 18 years of industry experience, Jason is an accomplished Project Executive with focused expertise in the healthcare market segment. 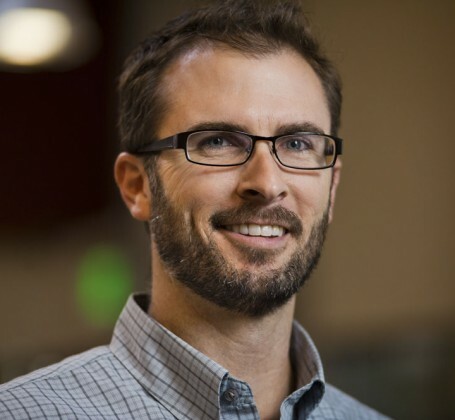 Some recent notable projects Jason has led include the El Camino Hospital Behavioral Health Services, Kaiser Santa Cruz County, and Kaiser San Ramon. Along with getting to watch his projects come to life, he appreciates the people he gets to work with and the friendships that evolve from working together. Al’s picture would be in the dictionary next to the word: Sincerity. Spend a minute talking to Al and his passion for his job becomes clear. He is a natural fit for hospital projects, of which his resume is full, because of his attention to every detail that may affect building occupants and his commitment to exceeding client expectations. Favorite part of the job: The looks on clients’ faces when they see the finished project. Kevin got his start as a carpenter. Now a superintendent, Kevin leads his projects with absolute focus on quality, safety, and timeliness. At the same time, his positive attitude and humor make the jobsite a great place to work! 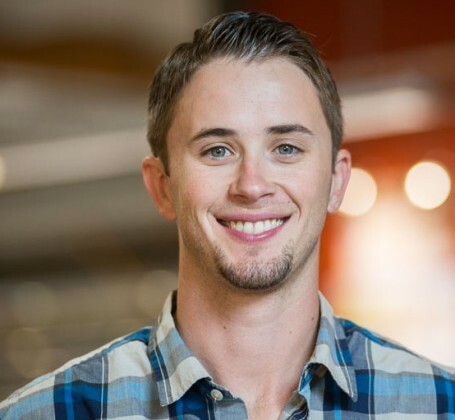 After receiving a Construction Management degree from Cal Poly San Luis Obispo, Cory joined XL. 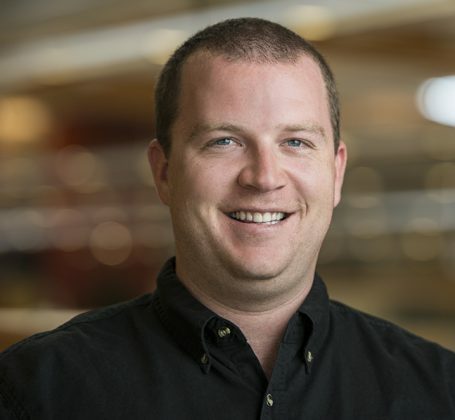 During his three years at XL, Cory has learned the importance of understanding maintenance requirements before designing any space. Cory loves to travel, play golf, and drink wine in his time away from work. Words of wisdom: There is always something to learn from everyone you meet. After working in the trades for five years, Michael went back to school to get his B.S. 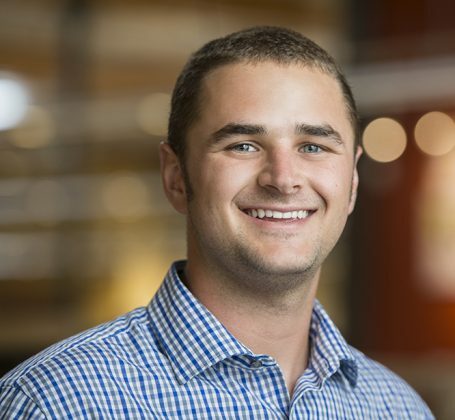 in Construction Management from Cal Poly San Luis Obispo, earning the second highest GPA in his class. 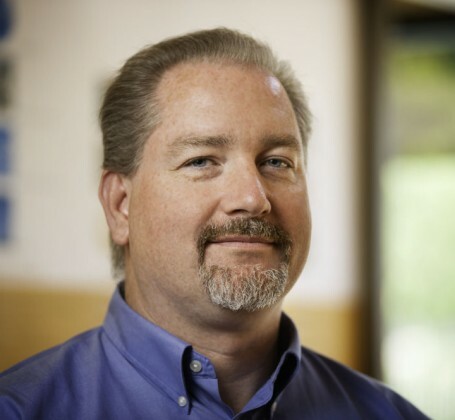 In his time with XL, Michael has worked on multiple projects for advanced technology clients. For him, the most rewarding parts of the job are solving problems and seeing the finished product. Biggest Lesson Learned: The smallest details make the largest impact. 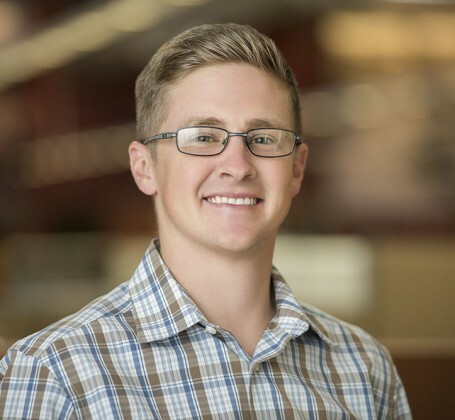 Tyler’s favorite part about being a Project Engineer is working with clients and tradesmen to transform the built environment. 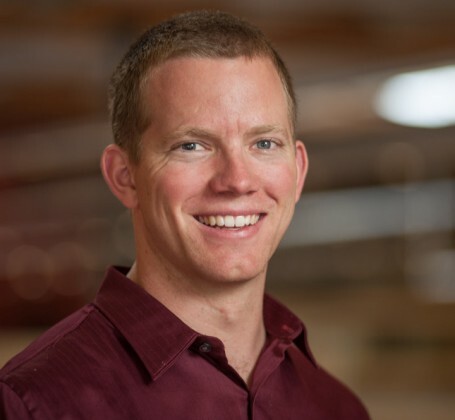 His biggest career accomplishment is working on one of the greenest schools in the country, Sonoma Academy, aiming to achieve Living Building Challenge, LEED Platinum, and Well certification. Outside of work, Tyler enjoy spending time in the outdoors hunting and fishing. Favorite Part of the job: Working with trade partners to find solutions. Before joining XL on the construction side, Bobby worked for eight years as a Commissioning Specialist. He’s now enjoying working through complex project challenges with his XL teams and trade partners. Outside of work Bobby enjoys going on adventures with his wife, daughter, and three dogs. Biggest lesson learned: Have fun! 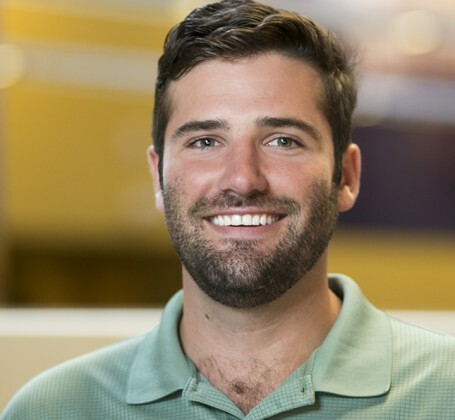 Since beginning his career at XL, Sam has been a part of both the preconstruction and construction teams, gaining experience with estimating, project planning, and project execution. He has worked on a variety of projects, from healthcare and life sciences to corporate office and education. When not at work, you’ll find him: gardening, cooking, building and drag racing cars, or playing roller hockey. Dan’s healthcare resume is truly impressive, and includes new hospitals, outpatient facilities, and medical office buildings. It is not his resume however, that makes him a truly great superintendent, but rather his leadership skills, friendly demeanor, focus on relationships and drive for excellence. Best Advice: Measure twice, cut once. As Project Engineer for XL, Brian recently helped turn over one of our largest projects in Sacramento to date – BayerCrop Science R&D Center. Now on another large office project for a tech client, Brian’s favorite part of the job is coming up with creative solutions to challenging problems. Favorite thing about her job: the people. Darcy has been in the construction industry for seven years. Her accuracy, attention to detail and positive attitude are a welcome addition to any jobsite. Words of wisdom: Read the details! A valuable asset on a variety of XL projects, Brandon is a great team player and talented craftsman who enjoys the problem-solving involved in his day to day work. Jihan performs a wide variety of Risk Management support functions. Her efficiency, ability to communicate concisely, analyze & adopt effective course of action is exceptional. Biggest lesson learned: Prior proper planning! Pay attention to all the details and be as organized as possible. 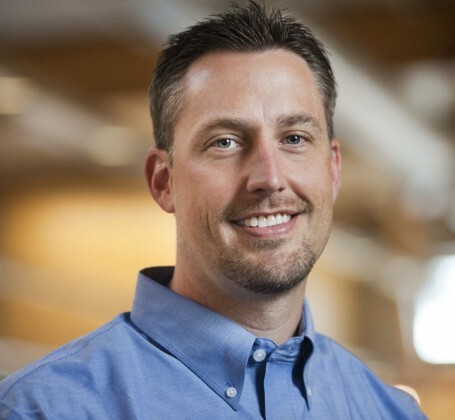 In his tenure at XL, Ryan has gained experience on a 360,000 s.f. campus project, and multiple large lab projects. 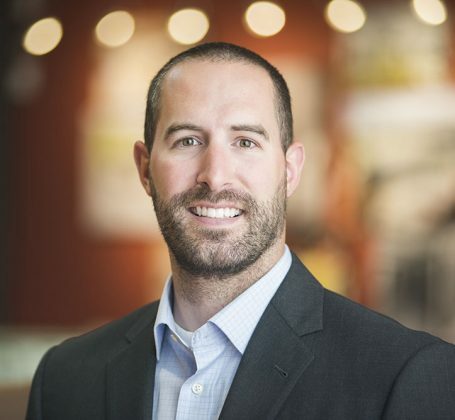 Involved in everything from preconstruction to LEED documentation, his favorite part of the job is working with good, fun people and seeing the tangible results of his work. Best thing about his job: The opportunity to build things that influence our area, culture and lives. David came to XL with experience in hospital, education and alternative energy projects. He’s since added corporate campus and LEED projects to his list. David approaches each project as both a learning and a teaching opportunity, and finds that XL’s collaborative approach supports both. Biggest Lesson Learned: Asking for help isn’t a sign of weakness, thinking you can do it all isn’t a sign of strength… A team achieves together. 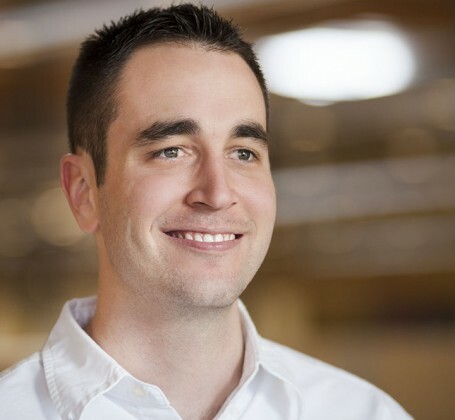 As VDC Project Manager at XL, Mike enjoys researching new software, field hardware, and working in a team environment. 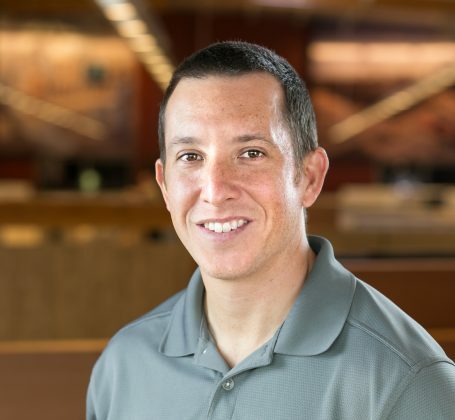 He’s great at taking that knowledge to the field and teaching others how to effectively use Revit, Navisworks, and Bluebeam as an installation tool. Works on computers and network infrastructures… for FUN! Biggest accomplishment: Being the mom of to two amazing girls, and teaching them about God, respect, work ethic, and integrity. It’s hard to say if the office would continue to run as smoothly without Natalia, but “no” is a safe bet. Her organizational skills, resourcefulness, and can-do attitude keep things operating. She loves providing a high level of support and knowing that her team can rely on her. Favorite part of the job: Everyday is a new day to learn and grow. 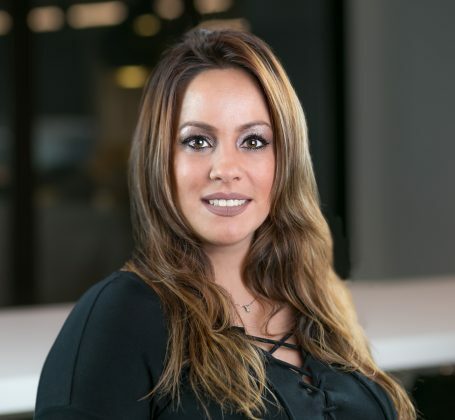 As a Senior Project Coordinator in XL’s Sacramento office, Alicia helps tremendously on projects in the Education and Healthcare market segments. Alicia is a devoted mother and enjoys sports, outdoor activities, and traveling. Favorite part of the job: All the characters he gets to work with. 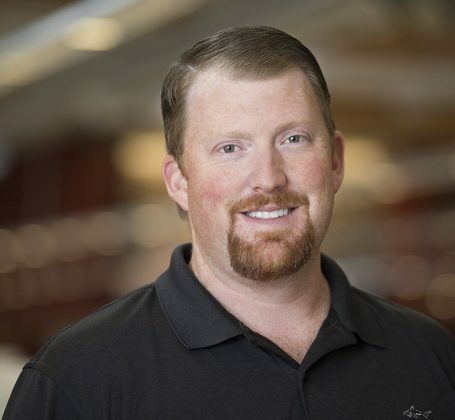 An XL team member for over ten years, Tate has earned a solid reputation and satisfied clients in advanced technology and life sciences, delivering projects like the DBIA award-winning Bayer CropScience project in West Sacramento. Biggest lesson learned: Don’t sweat the small, medium, or most of the large stuff. 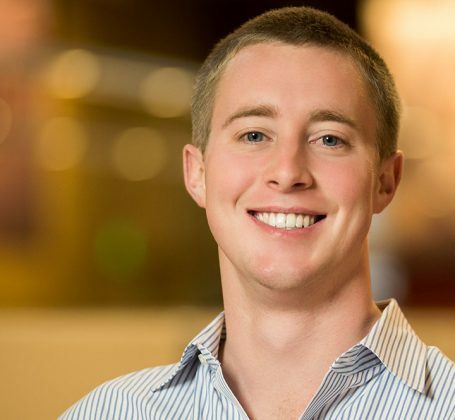 Scott made the move to the Bay Area after graduating from college in 2010. His construction experience ranges from healthcare and corporate office to high-rise residential and civic projects. As a project manager, he is responsible for the overall management of projects. He enjoys the camaraderie, challenges and learning that come with the job. Best advice she ever got: Follow up and follow through. Favorite part of the job: Finding creative solutions to complex issues. After earning his degree, Andrew built sets for ice dancing shows. 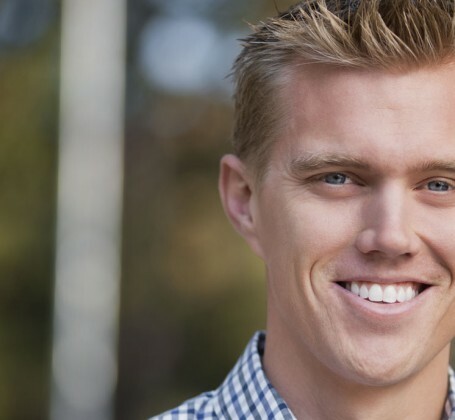 He’s since expanded his building resume to include projects for LinkedIn and other large tech companies. Andrew likes to work hard and learn from his experienced peers. Outside of work you can find Andrew fly fishing and hiking. Biggest lesson learned: Don’t assume anything about anything or anybody. 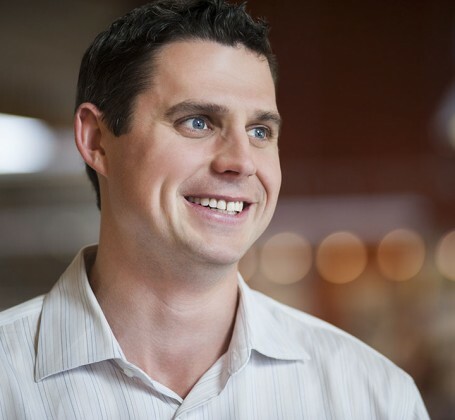 In his 8+ years with XL, Steve has completed projects for healthcare and life sciences clients. His favorite part of the job? Resolving challenges and seeing the client love the end product. Words of advice: Never be afraid to ask questions. Aaron has been in the construction industry for eight years. 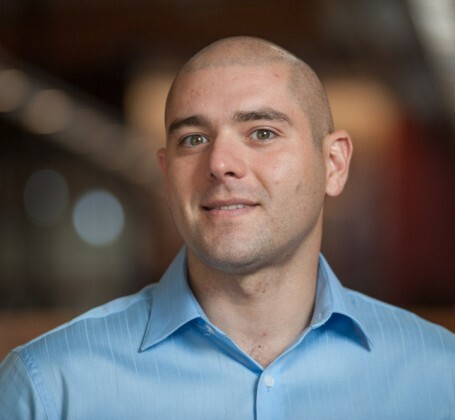 Since joining XL, he has been an integral part of project teams in both advanced technology and corporate projects. Team comradery and showing clients that they are our main priority through quality service are two of his favorite things about the job. 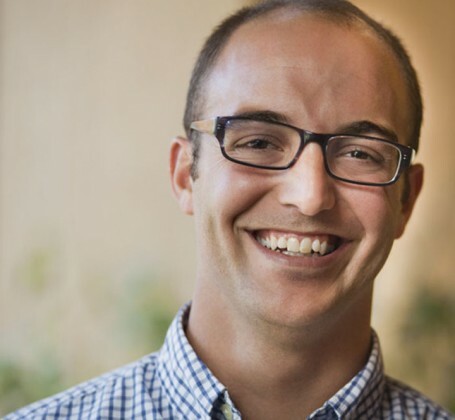 Likes most about his job: Collaborating and figuring out how to solve tough problems. 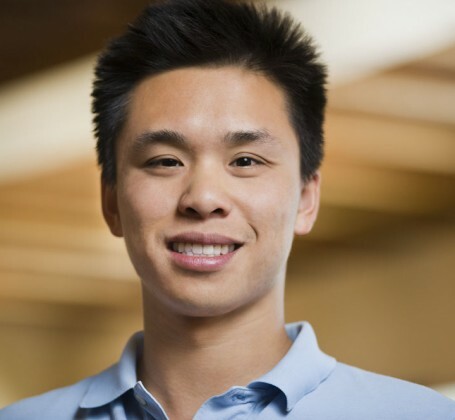 David joined XL after graduation and a six-week, 11-country trip to Europe. He spent the first months working with our precon department estimating and bidding projects. He is now running complex, challenging projects in our Life Sciences Market. Favorite thing about her job: The people I work with and the company’s vision and respect for us. Rosy helps manage the finance and accounting functions of XL. Aside from her mad accounting and finance skills, she is multilingual and a fashion guru. She definitely wins one of the office’s best dressed. 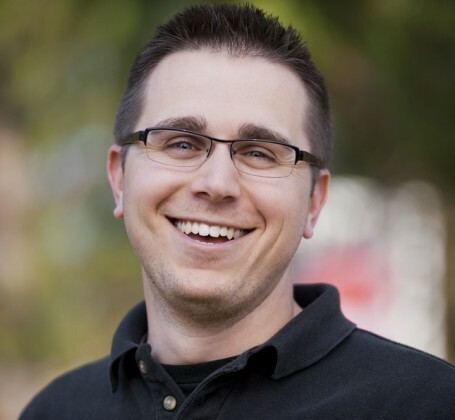 Lindsey was more than a safety engineer and colleague, he was a cherished friend. Every person was important to him, and he treated everyone with respect and kindness. He taught us all lessons in generosity, creativity, resourcefulness, and humor and we were fortunate to have the time we did with him. He lives on in our hearts and will continue to carry the message of safety to XLers through the Lindsey Van Why Excellence in Safety Award, an annual award presented to the project team that best exemplifies the spirit of XL’s safety culture. Biggest lesson learned: Collaboration provides the best success. With a few years of experience under his belt, Amon’s favorite part of the job is the teamwork. Since joining XL, he’s gained great experience in this working on projects for some of the world’s leading advanced technology clients. When not at work you’ll find Anson: Snowboarding, surfing or hugging a tree. In his seven-plus years of experience, Anson has had the opportunity to work on data center, healthcare and civic projects. 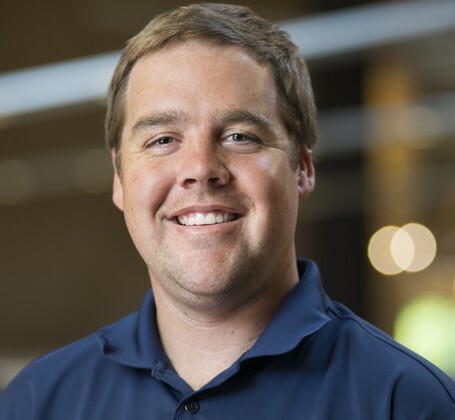 In his role at XL, Anson is an integral member of the preconstruction team, estimating new projects, determining scope, and working with trade partners. His favorite part of the job? The opportunity to learn and be challenged every day.